Compassionate end-of-life medical, emotional and spiritual care provided in patients' homes and at Casey House. Specialized pediatric hospice program. Grief support and education for the community without charge. 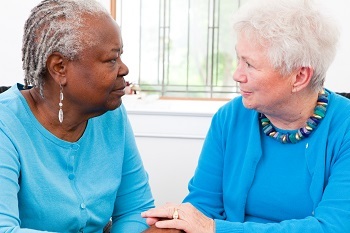 As an independent, community-based nonprofit organization, Montgomery Hospice relies on community partnerships to provide high quality, professional, medical end-of-life care and grief support. Montgomery Hospice serves all Montgomery County residents who need care regardless of their insurance status or ability to pay. Care for those without insurance or financial resources who would otherwise face the end of life with little help. Acute care at Casey House, the only inpatient facility in the county built exclusively for hospice patients. Montgomery Kids specialized pediatric care for our youngest patients. Complementary therapies using music, pets, touch and aromas to ease patient pain and feelings of anxiety and isolation. Professional counseling support for those who are grieving. Education programs about end-of-life planning and care for professionals and the community. By making a donation, you can help us continue to care for terminally-ill and grieving members of our community. Montgomery Hospice is a nonprofit organization that has provided extraordinary end-of-life care to terminally-ill residents of Montgomery County since 1981. Our mission is to gentle the journey through serious illness and loss with skill and compassion. To carry out this mission, Montgomery Hospice employs a team of professionals, including doctors, nurse practitioners, nurses, nursing assistants, social workers, chaplains, grief counselors and volunteers who offer a full range of services that bring symptom relief, comfort and peace of mind to patients, as well as support for those who love and care for them. Our bereavement services are an extension of this care and are available to our patients’ family members and friends, and to anyone living or working in the county who is grieving a loss. With the assistance of donors like you, Montgomery Hospice serves all Montgomery County residents who need our care regardless of their insurance status or ability to pay. Montgomery Hospice provides comprehensive, high quality medical and emotional end-of-life care to terminally-ill Montgomery County residents where they are living, whether in a private residence or in an extended care setting, such as a nursing home or assisted living facility. When a patient’s symptoms cannot be relieved at home, Casey House, our 14-bed facility provides acute care. Montgomery Hospice also offers professional grief support to patients’ family members and the community. Hospice at Home helps patients live with dignity and comfort in their own home environment. Montgomery Hospice’s team members visit Hospice at Home patients throughout the county. 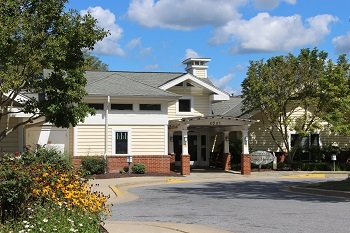 Casey House is the only inpatient facility designed exclusively for hospice care in our county. It offers a comfortable, home-like atmosphere and 14 private rooms. There are spaces for family members to gather, and visitors are welcome at any time. Montgomery Kids offers compassionate care for children, ranging from infants through young adults, who have a life-limiting illness. A specialized pediatric team works with the children, their families and their doctors. We help families care for their children in their homes, surrounded by the people they love. Complementary Therapies integrate holistic practices with medical care. Comfort Touch®; massage; Reiki; aromatherapy; music therapy and pet visits help relieve patients’ pain and symptoms and reduce their anxiety and isolation. Bereavement Care is available to anyone in Montgomery County. Our professional counselors offer caring support to those who are grieving through phone calls, mailed information, support groups and workshops. 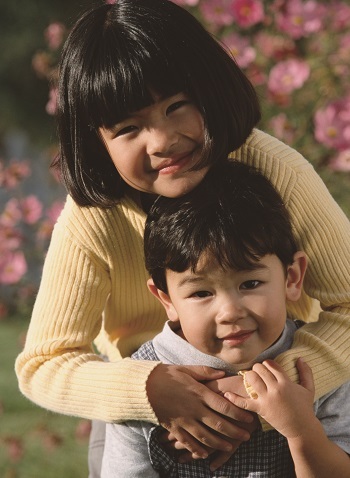 Special community services include a six-week program for children who have lost a sibling or parent. The Center for Learning offers education on end-of-life topics to professionals and community members. My wife had been diagnosed with a degenerative condition with no known cure. She decided she wanted to die at home, not at a hospital. Montgomery Hospice arranged for her to stay at Casey House for a few days so I could prepare our home for her care. Casey House was very warm and inviting. The staff made my wife very comfortable. My family and I took turns staying in her room. We were able to be with her as much as we wanted, and we never left her alone. When my family would come to visit, we would sometimes have a pizza at the big table in the common area. When we were not in her room, we would often sit in armchairs in the various seating areas. After my wife’s stay at Casey House, she came home, where Hospice at Home staff helped me and my family take care of her and keep her comfortable until she died. After she died, I appreciated the mailings and phone calls I received from Montgomery Hospice bereavement counselors. I want other people to know about the good care they can receive from Montgomery Hospice and Casey House. Montgomery Hospice is recognized as the preeminent provider of end-of-life care and grief counseling services in Montgomery County. Unlike all-volunteer and non-medical hospices in the area, we effectively combine the services of medical professionals and highly-trained volunteers. Our grief counselors each have a master’s, or higher, degree. In addition, Montgomery Hospice has the distinction of being accredited by the Joint Commission, the nation’s leading standards-setting and accrediting body in healthcare, and certified by Medicare. Montgomery Hospice’s comprehensive approach to care enhances the quality of life for patients and their families. Our interdisciplinary team of doctors, nurse practitioners, nurses, nursing assistants, social workers, chaplains, bereavement counselors and volunteers focuses on comfort, which includes symptom and pain management. The hospice team also provides emotional and spiritual support to patients and family members. Our professional staff and volunteers are dedicated to supporting patients by helping each one live in safety and comfort. Since 1981, Montgomery Hospice has provided end-of-life care and grief support to tens of thousands of county residents. From a small group of volunteers caring for seven patients in the first year, Montgomery Hospice has grown to 310 employees and cares for more than 440 county residents each day — more than 2,200 each year, including more than 470 patients at Casey House. Our 340 volunteers make 300 visits to patients each week to provide companionship or help with household chores. Our professional bereavement counselors provide care and education to more than 5,700 adults, teens and children each year through phone calls, printed information, and grief support groups and workshops. In addition, Montgomery Hospice staff and volunteers educate more than 5,600 county residents and healthcare professionals through end-of-life care presentations, health fairs and other events. Montgomery Hospice operates effectively and efficiently. Our services meet rigorous professional standards, and more than 90% of our budget is dedicated to patient care and community care expenses. Our Board of Directors ensures accountability for Montgomery Hospice programs and finances. Board members are drawn from our diverse community and include individuals with financial, legal and medical expertise. Furthermore, our financial records are audited each year by an independent accounting firm. Our financial statement is available upon request. Documents and information submitted to comply with the Maryland Solicitations Act are available from the Maryland Office of the Secretary of State for the cost of copying and postage. In addition, our annual reports can be found at www.montgomeryhospice.org/about-us/finances, and our most recent U.S. Internal Revenue Service Form 990, “Return of Organization Exempt from Income Tax,” is available without charge through GuideStar.org. Montgomery Hospice has provided high-quality care for almost four decades, and we are grateful for the trust our patients and donors put in us. Thank you for helping us care for our neighbors in Montgomery County. Our Montgomery Kids team cares for seriously-ill children at home, surrounded by the people they love. 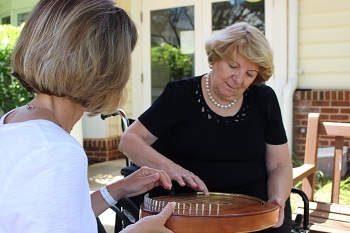 Music, touch, and aroma therapies comfort our patients.